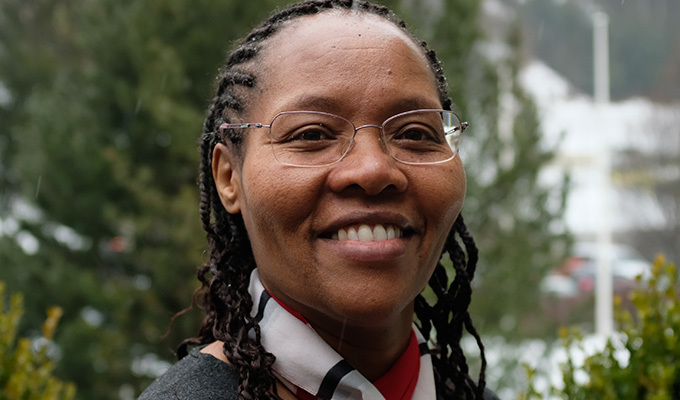 Teresa Ngigi is a psychologist who will help train a mental health and psychological and social support team for SOS Children’s Villages Syria as part of its emergency response. SOS Children’s Villages has built on its more than 30 years of experiencing in Syria to provide care and support for children and families affected by the war, which began on 15 March 2011. Ms Ngigi, who holds a doctorate in psychology, talks about the impact of trauma and the role child friendly spaces can play in providing care for children affected by war, dislocation and disasters. She previously trained mental health specialists at SOS Children’s Villages Sierra Leone and was part of the emergency team responding to the landslide near Freetown in August 2017. After seven years of war in Syria, how hopeful are you about being able to do something for these children? I always believe in hope. But I am not naïve and we need to understand that this is a long process. The war is ongoing so people are being traumatised over and over again. We cannot deceive ourselves and say we are going to solve those problems and everything will be OK within a specific timeframe. 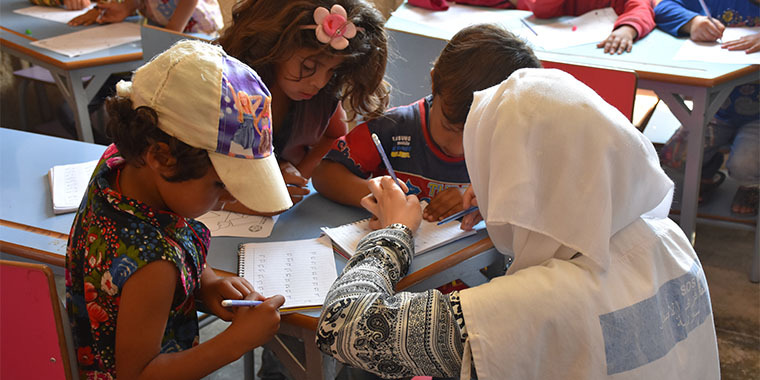 What is SOS Children’s Villages doing to address the mental health needs of children in Syria? The most important thing as far as mental health is concerned is to identify the local people who can do the job and to train them. They know the situation better than people from the outside do. Through training local social workers and other specialists, we can improve local capacity and strengthen their ability to respond to the needs of children and their families. What short- or long-term impact do natural and human-made disasters have on children? Children need security and predictability and in a disaster there is no security. Nothing is predictable. The emergency response has to be focused to help these children reconnect. This can be difficult when responders are not trained well enough to respond to the very specific needs of children. Emergency caregivers may not know how to help the children and the caregivers themselves may be going through what we call vicarious trauma, which occurs when a caregiver who is working with those who are traumatised begin to experience trauma themselves. It is possible to act or talk, even if in good faith, and end up re-traumatizing the children. That is why training and preparation of the caregivers in the field is very important. The lack of trained caregivers is one of the highest risks in emergency situations. Is there a difference between the trauma resulting from a natural disaster and that caused by mass displacement or war? When you have a situation where there is continuous disaster happening – it can be war, epidemic, or extreme poverty – children tend to have a kind of resilience and develop coping mechanisms that sometimes make them almost numb to the trauma. That is not good but it is a coping mechanism. We find that in certain situations of continuous disaster, an individual’s trauma is very deeply rooted but they have coping mechanisms that someone who experiences trauma for the first time may not have. Those experiencing disaster for the first time have not had the need to create defence mechanisms. How does the treatment differ for one-off disasters compared to prolonged emergencies? We separate what we call developmental trauma, which occurs over a long time, from event trauma that comes as a result of a single disaster. In both instances, healing is a long-term process. Developmental trauma and continuous trauma create a basis for many serious problems – for example, health, mental and relationship problems, or learning disabilities. Externally the individual may appear resilient. Event trauma – trauma from an earthquake for example – may result in post-traumatic stress disorder. The disaster has disoriented the person in such a way that they have flashbacks or they are susceptible to whatever might happen. They cannot put their life back together and this interferes with their daily life, including having health problems, mental problems, among others. How important is a long-term perspective in treating trauma like you see in Syria and other conflict areas where SOS Children’s Villages works? It is very important. If you start a process with a child who has been traumatised and you leave that process halfway, you are going to worsen the situation for the child who is traumatized, as well as those surrounding the person. It would be better if you did not start at all. That is why an assessment is extremely important - to establish what kind of needs the child or adult has, and do we have the resources, the time, and the expertise to start the healing process and consistently continue it. Healing trauma is a demanding endeavour, but mental health specialists need to diligently work with the traumatised person, create a solid and reassuring relationship with them, and guide them towards taking their power back. Do traumatic events have the same effect on very young children and adolescents? The impact is not the same at all. During the first couple of years of life, the child is guided solely by emotion, she or he doesn’t reason. So whatever happens in the life of a child to that point is interpreted through emotions: Mom loves me, mom doesn’t love me; I am dirty and no one takes care of me, so they don’t like me. Feelings are very, very important at this stage because the child cannot make sense of what is happening. As a child grows older, she or he starts to learn how to make sense of the events that happen in life. If a flood happens, you can explain the disaster to an older child – when it rains too much, a flood can happen. But the younger child may associate the event with something she or he has done or failed to do. So when trauma happens, when a child cannot make sense of anything, it becomes a very deep-rooted experience and the treatment may require expertize and time. How important is it to also address the trauma of the parents in an emergency? It is absolutely important. Whenever you have a child that has gone through hard experiences, it means that the parents also need a lot of intervention. Sometimes these parents may not even be aware of being traumatized themselves. Parents can re-traumatize children – even if they are trying to help – without being aware of it. Trauma healing is a collective effort. The Child Friendly Space (CFS) has been a central feature of SOS Children’s Villages’ work in many emergency situations, including Syria. How important are these facilities? Child friendly spaces are a very central part of our emergency response work at SOS Children’s Villages. The CFS offers a great environment to deal with trauma because you have caregivers who are trained, a secure and safe place, and you have an environment where children can express themselves in different ways. After trauma it is very important to be able to express yourself. Even without verbalizing experiences, children are involved in drawing, art therapy, singing, dancing and other activities that help them express themselves. I think it is also important that the parents take part in activities at the CFS so that they themselves can participate in the healing process. Participating with their children is therapeutic for parents. We can help address the needs of the parents through the children.